Hot in skin care right now, the vitamin A derivative known as retinol is used for anti-acne and anti-aging regimes. But like many of the ingredients in beauty products these days, retinol is not risk free. Marta Wohrle, who founded the website Truth In Aging to test, evaluate, and sell cosmetics for mature skin, has some cautions about using retinols. Epoch Times: You were you previously very much against retinols. Why? Marta Wohrle: Retinols are an extreme exfoliator that prematurely removes skin cells, forcing the turnover of new skin cells. This creates new skin that looks good in the short term, but it will make the skin thinner over time. More importantly, there are forms of retinol that can be harmful: tretinoin is toxic and retinyl palmitate can become toxic when exposed to sunlight. Epoch Times: On your site, you now recommend some retinol products. What changed your mind? Ms. Wohrle: I haven’t changed my mind. The concerns outlined above are still my concerns. However, many people continue to use retinols and wanted me to recommend products with retinol. So I have been hunting for formulations that include free radical scavengers, antioxidants, hydrators, and collagen builders to provide a balanced approach that will help counteract retinol’s side effects and bring long-term benefits. Epoch Times: On your website you say: “The forced production of new cells [by retinol] may speed up the Hayflick Limit (cells can only renew themselves a finite number of times).” What implications does this have for the long-term health of your skin? Ms. Wohrle: Although cells replicate themselves a finite number of times, we have thousands and thousands of cells, so they aren’t all going to deplete at the same time. However, as we age our skin gets thinner as cells eventually die off. Personally, that’s why I’m much more interested in ingredients that may extend the life of cells—such as a relatively new one called teprenone—than retinols, which speed up the cell turnover process. Epoch Times: On your website you also say: “Retinol has been shown to produce excess reactive oxygen species that can interfere with cellular signaling, cause mutations, lead to cell death, and it may be implicated in cardiovascular disease.” This sounds pretty scary, given that we are exposed to so many toxins we can’t control. Could our creams be the straw that breaks the camel’s back so to speak? Ms. Wohrle: The great thing is that we can control the amount of toxins we are exposed to. We can choose skin care products that are natural, chemical free, and major on collagen building and wrinkle repair ingredients. And even when we do want to use controversial ingredients, like retinol, we can make ourselves aware of the risks and do what we can to mitigate them by not overusing them. Epoch Times: What should we be aware of regarding vitamin A toxicity? Ms. Wohrle: The main two concerns are around tretinoin and retinyl palmitate. The FDA warns against using sunscreens with retinyl palmitate as it becomes carcinogenic in sunlight. Tretinoin is a well-known toxin and, in particular, should not be used around the eyes. Finally, pregnant women should avoid all forms of retinol as they are teratogens (which means they can disturb the development of a fetus). Epoch Times: What advice do you have about using retinols? Ms. Wohrle: Retinols must be used with caution as they can dry the skin and cause irritation, and they should only be used at night since they increase the skin’s sensitivity to sunlight. 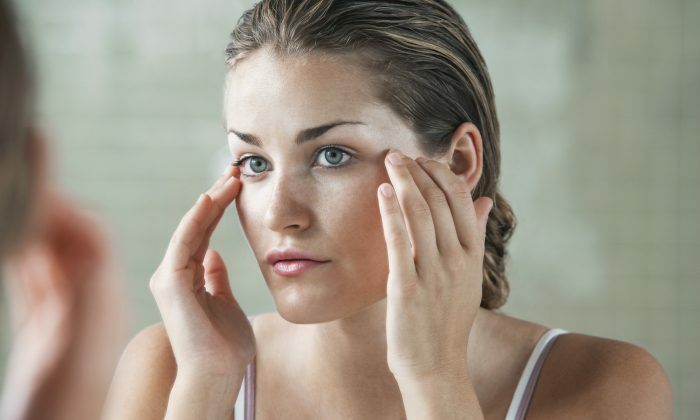 Epoch Times: Does this mean people with sensitive skin should not use retinols? Ms. Wohrle: I have very sensitive skin and can rarely use retinol products. People with sensitive skin should try a patch test first and limit use to once or twice a week. You can learn more at: TruthInAging.com.